ONE ESSEX COURT offers four guaranteed twelve month commercial pupillages per year, each with substantial funding. In addition, Chambers is actively seeking applications from candidates with a particular interest in Intellectual Property law. An additional pupillage is available for applicants in this sector, again with substantial funding. Pupils typically spend two periods of three months each with two different pupil supervisors during the first six and sit with a third pupil supervisor during the second six. Pupil supervisors, who are generally amongst the most senior juniors, only have one pupil at a time. Pupils work in their pupil supervisors' room and normally attend all their pupil supervisors' conferences as well as accompanying them to court. During pupillage there is also the opportunity, should a pupil desire, to undertake a seat within our Intellectual Property Group. From the beginning, pupils are fully integrated into the life of Chambers and attend all Chambers social and client events. Regular events include drinks on a Friday during the legal term, Chambers dinners (on average once a year) and dinners for the junior third of Chambers. Throughout their pupillages, pupils are encouraged to do work for other members of Chambers as well as for their pupil supervisors. This gives pupils exposure to a wider variety of work (and methods of working) and gives pupils the opportunity to become better known. From the beginning, pupils assist pupil supervisors with their papers, do legal research, draft opinions, pleadings and skeleton arguments. One Essex Court has traditionally been able to provide substantial opportunities for advocacy in the second six months of pupillage. Chambers believes that it is essential for pupils and junior tenants to develop their court based skills at the earliest possible stage and makes a considerable effort to ensure that pupils gain court and other relevant advocacy experience. This typically includes applications and small trials in the County Court as well as the occasional appearance in the High Court and in other tribunals. 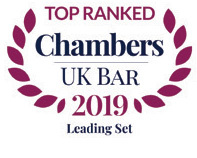 Chambers only offers pupillage to those who are thought capable of becoming tenants. One Essex Court has for many years maintained a policy of active recruitment and expansion; we see no reason why that policy should change in the near future. Over the past decade, more than 75 per cent of pupils have been offered tenancies. There is no limit on the number of tenancies offered in a given year. Chambers has frequently offered tenancies to most or all of the pupils seeking them in a given year. Provided a candidate is proven to have the requisite ability, no distinction is drawn between candidates who do and those who do not have a law degree. Over the past decade or so Chambers has offered pupillages and tenancies in roughly equal proportions to candidates with law degrees and those who have taken the GDL. Each pupil's progress is reviewed at the conclusion of the first six months. At that time a pupil can ordinarily expect to be given a preliminary indication as to the prospects of a tenancy. Decisions as to tenancy are taken by Chambers as a whole, usually in June of each year. Reports written by pupil supervisors and other tenants with whom pupils have worked are considered and a decision is taken by a vote of all members of Chambers after discussion. Chambers makes every effort to ensure that those who are not offered a tenancy find a tenancy elsewhere. 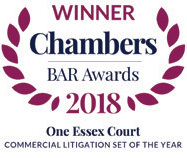 Historically, almost every pupil who has not been offered a tenancy at One Essex Court (and who wishes to remain at the Bar) has been able to find a tenancy elsewhere, in many cases at other top commercial chambers.